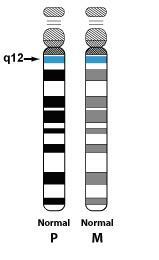 Angelman syndrome is a complex genetic disorder that most people have never heard of. 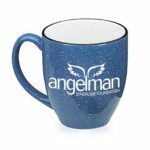 When a family receives a diagnosis, the question “what is Angelman syndrome” is asked frequently. Facts About AS was initially a small booklet developed in 1987 to help inform parents and professionals about the syndrome. This expansive publication is now in its seventh edition. 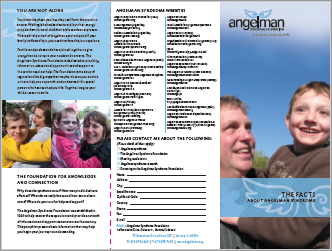 Please download and print the brochure and share it with family, friends and medical professionals. The text is also available in Spanish. 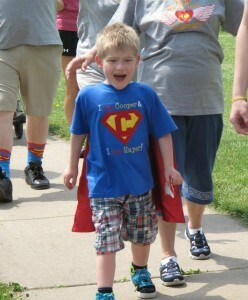 Download the Quick Facts About Angelman Syndrome brochure. 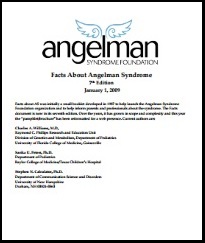 | Quick Facts about Angelman Syndrome Spanish version.